I start to wait Christmas in October. To me Christmas is the best holiday of the whole year – even birthday comes second. And I’m rather traditional and I want a Christmas at home with good food and everything red and pretty and Christmasy all over. That’s all I need. 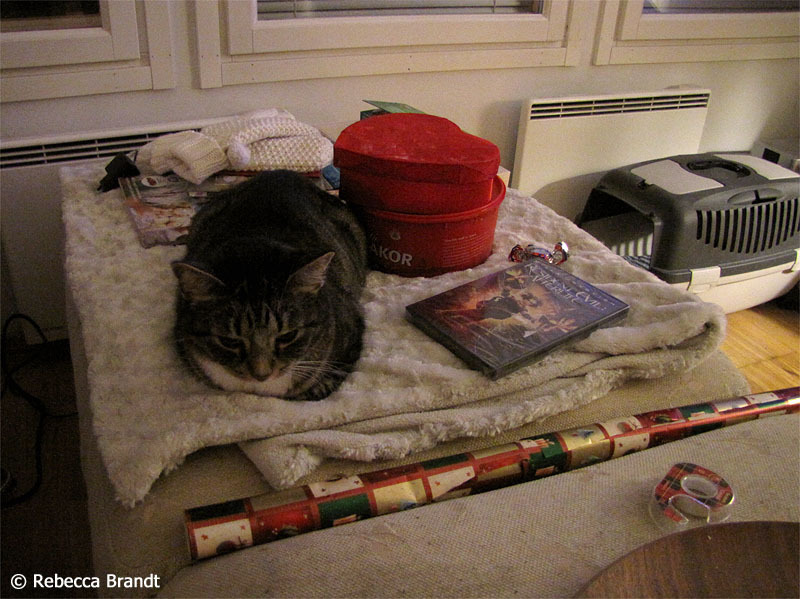 Presents are not necessary. Because my parents have divorced, I like to "split" the Christmas: I go to my dad the day before Christmas Eve and stay over night. Next day I would go to my mom, but only when it's already evening and after I've spent the Christmas Eve with my dad. So I have time to spend the Christmas with both of my parents. This Christmas with my dad was left somehow unique in my head, for I knew he is not that kind of person who would stay up late and at about midnight we watched the movie "Nine" and after all the pauses and ending credits it was already 2 a.m. and just when I think he is suggesting I should leave he's starting to watch a documentary about boxers Muhammad Ali and Joe Frazier, about the their three fight, particularly the third and final famous boxing match between them (fought on October 1, 1975 at the Araneta Coliseum in Quezon City, Metro Manila, Philippines) and everything behind it and them. I don't even like boxing - on the contrary, I despise it to my very core (people brutally beating each other up for "sport". I mean it IS sport I understand that and don't diminish as such but I somehow can't see it as the same kind of sport like tennis for example because of its brutality - and in tennis people don't bleed, break bones and/or nearly die at the end). But I do like documentaries and I know my dad likes boxing... And I never say "oh well I should leave now to my other parent" when I'm around. Nor "oh well we should probably go to bed" when it's about staying up late... For the interest towards the documentary I could somehow bare these fighting scenes and in the end, it was truly a very interesting documentary which gave a different point of view to this whole thing between Muhammad Ali and Joe Frazier, I don't think I would ever got without watching this program. Which I don't think I would've never do on my own (due to its nature and subject)... After all it was over 3 a.m. when it was over and I still not felt like leaving (even my dad was tired to say the least, but I'm like this weird night creature who is willing to watch extended cut of Gladiator in the middle of the night). But it was time to leave and I went to my mom, who was already sleeping and after munching through the candies I went to bed. The food plays a big part in my Christmas celebration. Without certain foods and the taste of these traditional dishes it feels to me that there’s something missing. 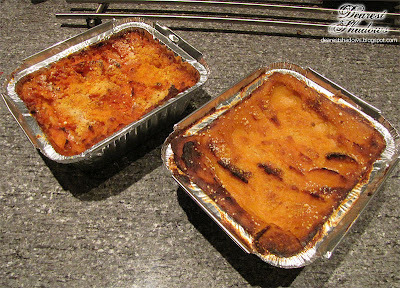 Oven-baked “ham” (I’ll get that in a minute), root vegetable casseroles, mixed beetroot salad. Rutabaga casserole is also very traditional but I've never like it or rutabaga in general. Sweet potato casserole was a new thing to me and recipes to it seemed to be all over the place. So to bring something different to my traditional foods, it was a new food on our Christmas table - it was just divine and I've never even eaten sweet potato before. Yum! 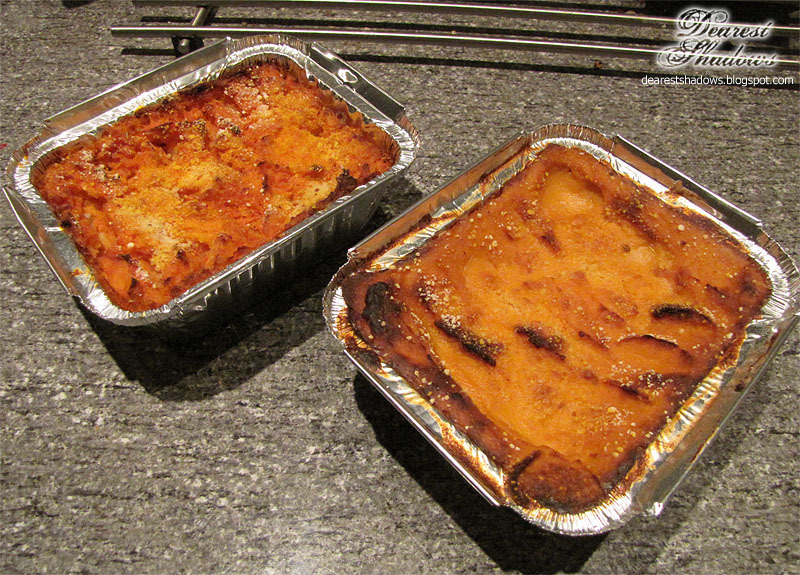 Carrot casserole (left) and sweet potato casserole (right). Because I’m vegan there’s nothing animal related food on my menu. 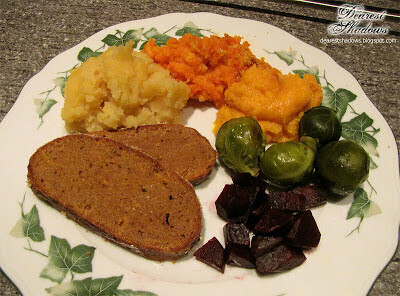 We had carrot casserole, sweetened potato casserole, sweet potato casserole (made of sweet potatoes so different than sweetened potato casserole), mixed beetroot salad and Oven-Roasted Brussels Sprouts. The only ham that was covered with mustard and breadcrumbs was my seitan“ham”. 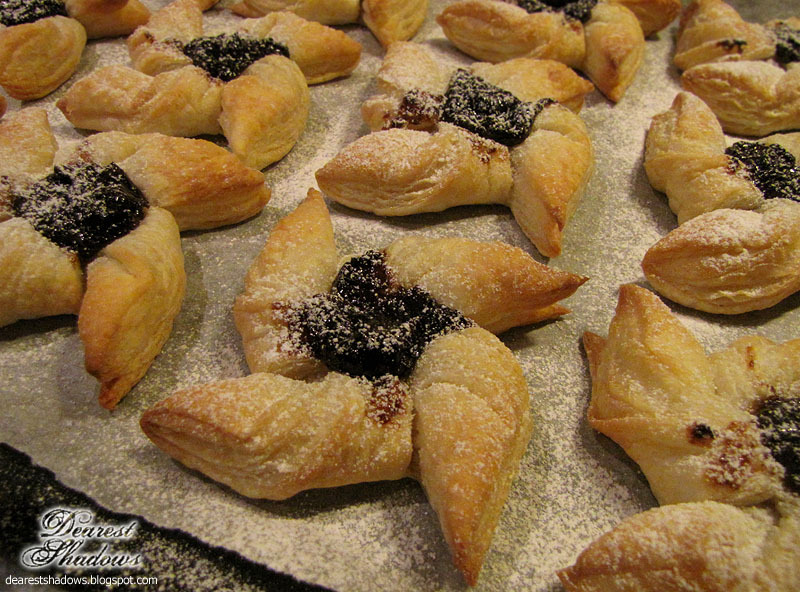 For something sweet we made Star-shaped Christmas pastries. The plan was to make Vegetable Terrine (like last year), mushroom salad, bean pate (In place of liver pate) and traditional English Christmas cake also but the there was not enough time for all that. Vegans don’t eat grass on Christmas either. I was spending the Christmas with my mom, who has become a looong way to veggier person since I become vegan, and she never complains about “my” food (vegan food that is) and eats them, really and honesty likes them and she makes them herself. She had lessen down her meat eating so, so, so, so much and eats it only on some occasions for example Christmas – she had some meat but no ham. We ate the same casseroles and she doesn’t let the fact that there’s nothing animal related in them, “bother” her like it might to some people (a.k.a. OMG there’s no eggs, OMG there’s no cow milk that must be bad so I don’t even taste). There was still some fish and fish rod and turkey on the menu but so very tiny amount for there was only one eating them. Even I don’t eat meat, I don’t blame her or anyone else doing so. Some may do that but I’m not condemnatory vegan, I don’t have the right and even I have my ideology other people may not have them as much. Like I mentioned earlier, gifts are not that important. I guess that when you’re a child it’s so great to get a pile of gifts. But to me it is better get something I know I’m going to use and they are not left in the corner. So quality over quantity and less is more. For example my mom knew I love movies and when she asked what do I want for Christmas I immediately said “MOVIE!” and when she asked what movie would I like to get I said it’s going to be a long list - but really any movie is great. She knew I had looked after “Resident Evil: Afterlife” and she gave that to me. Funny thing, it seems that even from the shape and feel of the gift my brain just can’t realize if it’s a DVD - I automatically thinks it’s something else, like a book or something else. And if I suspect it is a movie it could be anything else than what I had asked for and if it is what I’ve asked it’s what I wanted. And I’m still surprised! It’s a win/win possibility when it’s a movie or anything related to it. I’m an easy person to give a gift to. Hah.. The Christmas went well. I had had SO much stress over it for so long, even before December - I really wanted this Christmas to be good and because two last Christmases haven’t been so much of joy. 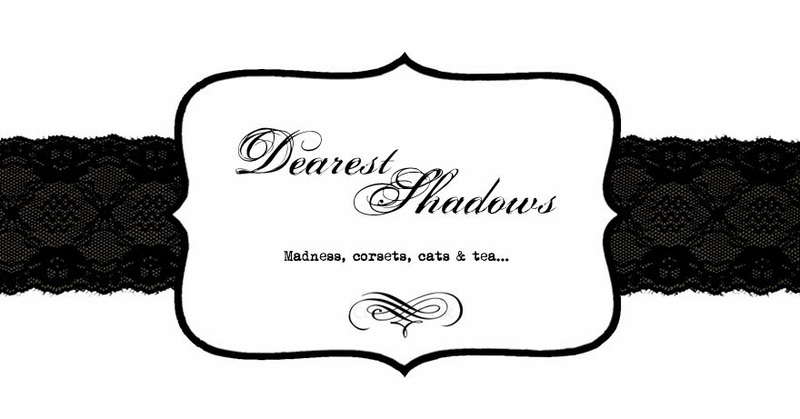 So I was stressed about certain things related to that as well as some things not as related even to Christmas. But that’s that. Even the food part took a lot of time to do, it didn’t matter. Better good food that takes time than bad food that is made fast or those ready-made meals from market. At least it didn’t seem to take as much time than last year and we made a few new foods than last year. I had a plan to make the casseroles ahead of the time but I’m just not that Martha Stewart yet. Maybe next year I would anticipate better and save some time... But the Christmas turned out very well and I was so very glad for it.